Hello, My Sweet 'n Sassy Friends! was all Christmas related. WooHoo! I made a collage of some of my favorite cards and tags from this release. but these are my absolute favorites! 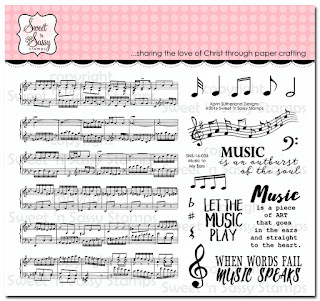 Be sure to take a look at all of the beautiful stamp sets in the Sweet 'n Sassy store. Click RIGHT HERE to see this terrific release. Have a creative day and stay tuned for October! 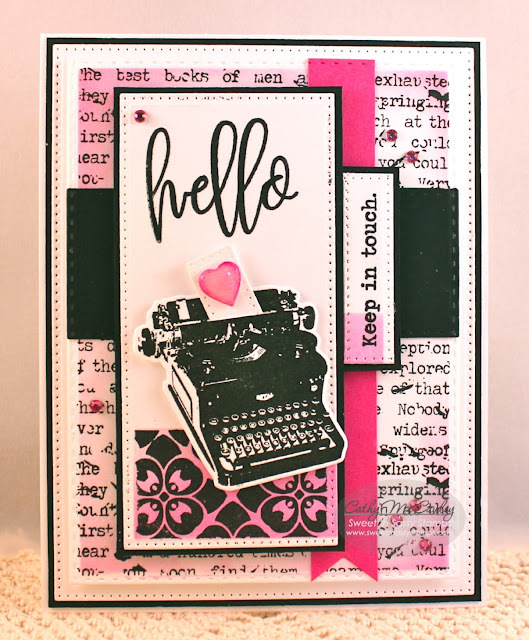 Today I am sharing two more cards using the Scribble Flowers stamp set, along with a simple "hello" from Keep in Touch, Too. 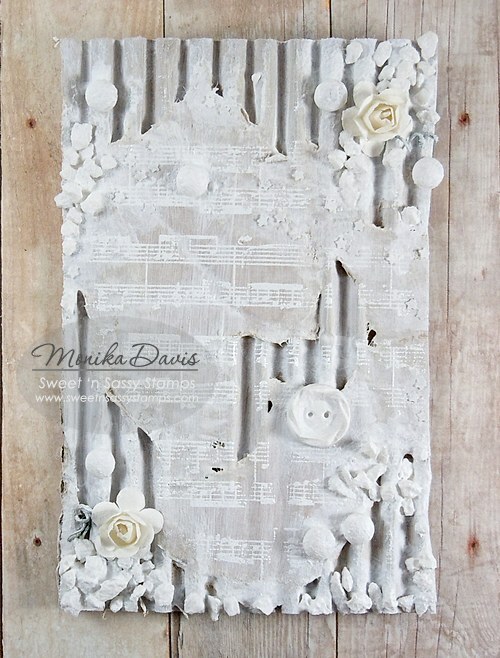 I just can't seem to get enough of these flowers with black & white papers...love this combo! I simply started with 4 1/4 x 5 1/2 pieces of patterned paper and cut them in half on a slant. Then you get two cards! I wanted the first pattern to go in the same direction, so I placed one on the top & one on the bottom. Hello Sweet Friends! 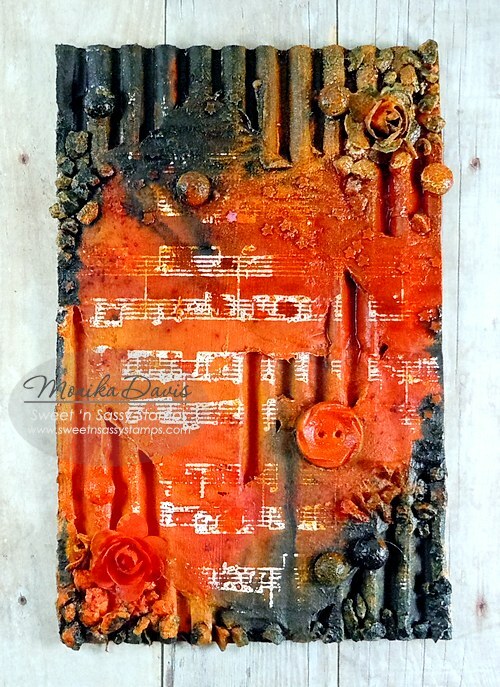 It's Monika here today, bringing you a mixed media project. 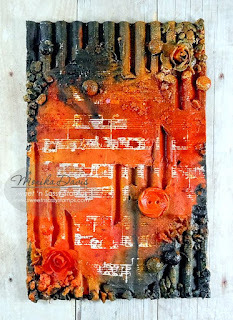 It is a small wall hanging, that can be also showcased in a shadow box or picture frame. 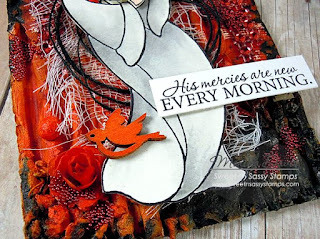 The main image (Creative Worship: My Comforter clear stamp set) was stamped on water color paper with Jet Black Archival ink and water colored with distress inks... to add some more texture, I added cheese cloth, twine, micro beads, sequin strips and a wood veneer dove. 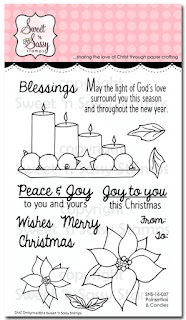 The greeting (Be Encouraged clear stamp set) was stamped with Jet black Archival ink. Ohhh...I'm excited to share today's project! 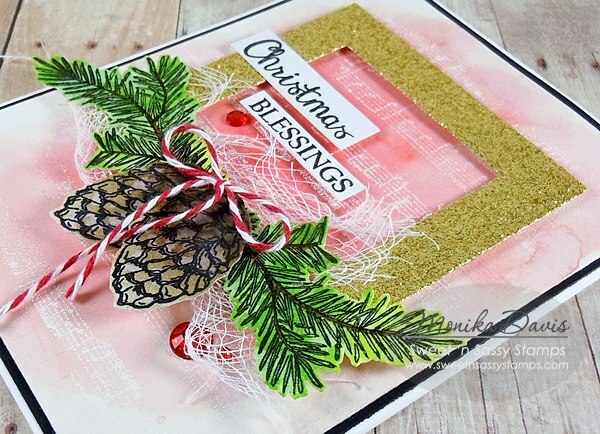 It's a Christmas garland, created with the brand new Christmas Bulb Die Set! This is the cutest die set that includes the bulb, the ornament top, and a dove. There's a round bulb die set too! 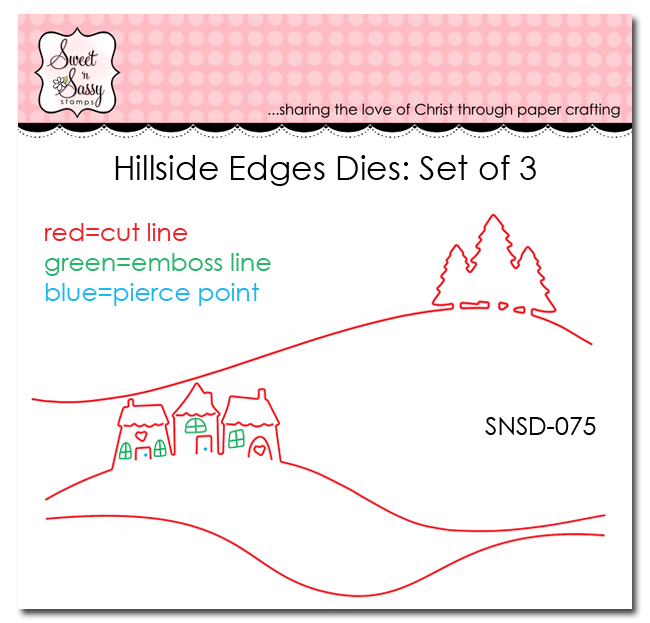 Use either of these sets to create gift tags, Christmas tree ornaments, or a holiday garland! To create my garland, I started by die cutting eight bulbs, using coordinating designer paper. I layered one bulb shape on another...can you tell? I positioned the top bulb die cut sideways, creating the fun, curved shape that runs across the bulbs. I then created a piece of silver cardstock by inking a piece of cardstock with VersaMark and embossing with silver embossing powder. Once the powder was dry, I die cut four ornament tops and attached them with a strong liquid glue. I hope you enjoyed today's project! Happy Crafting! Water Color, Wings and a Snowman! Hope all is well with you. I am finding it hard to believe that we are almost through the month of September!! I must admit, I do like the fall season and the anticipation of the upcoming Christmas season. Have you been checking out all of the gorgeous inspiration from the team using the new Christmas Release? You really cannot go wrong with any of these sets. This snowman from Diane Zechman is a perfect addition to your snowman collection! How can you resist the angel wings?! You can find him, as well as a sweet penguin, in the Holiday Hugs Stamp Set. The image is heat embossed with black embossing powder, then watercolored with Kuretake watercolors. Sparkle is added to the wings and stars. 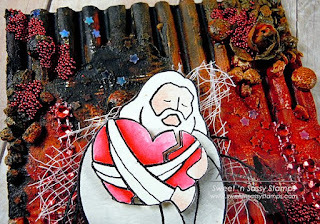 On both the image background and my black card panel I added snow with spatters of acrylic paint. 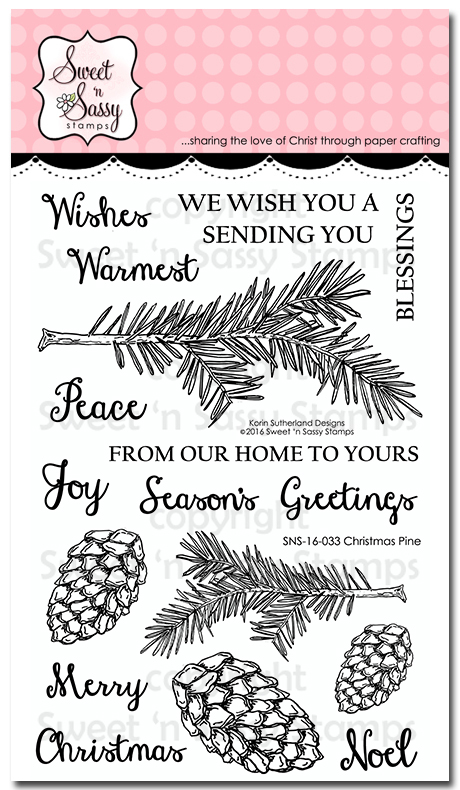 The heat embossed sentiment is from the new Christmas Pine Stamp Set. 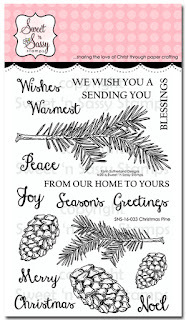 I hope you have been inspired to get started on your Christmas Cards! Hello Sweet Friends! 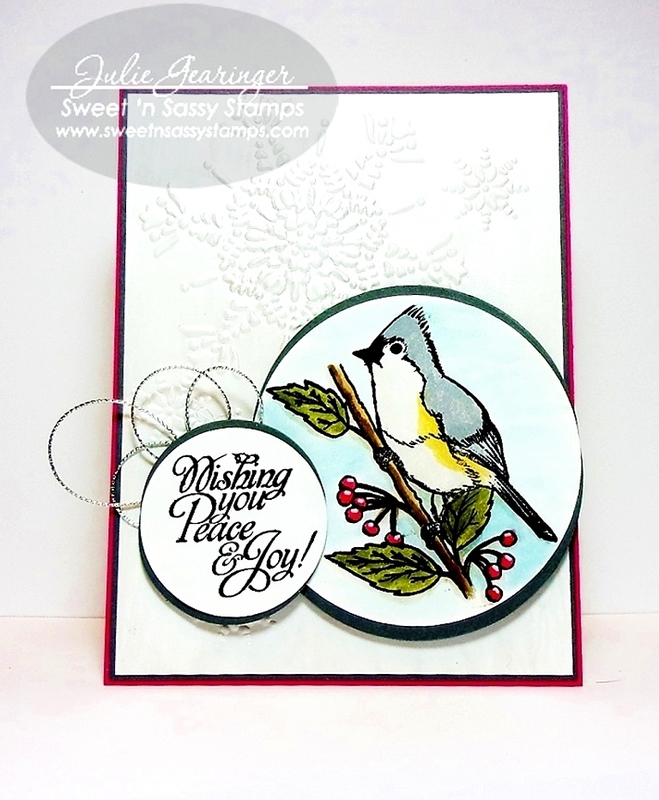 Julie sharing a Clean and Simple Mixed Media Christmas card using Sweet ‘n Sassy Stamps Peace of God along with Season of Love. To create this card, I stamped the tufted titmouse image from the Peace of God Clear Stamp Set and the sentiment from Season of Love Clear Stamp Set using black archival ink, used distress inks with a water brush to watercolor the bird (adding highlights with a Sharpie White Extra Fine Point Pen) and mounted both onto gray cardstock. 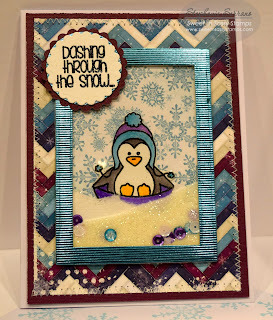 I had the snowflake embossed panel in my stash and applied shimmer paint over the panel before mounting onto a piece of gray cardstock and adhering the entire panel onto the bright pink card base. I mounted the titmouse along with the sentiment with dimensional foam and dded the silver cord to finish off the card. 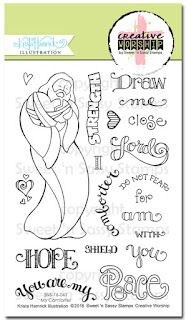 Hugs and have a blessed week, my sweet friends! 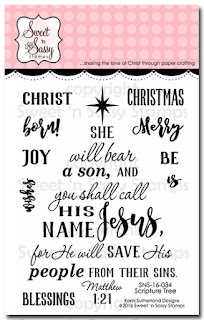 Happy Wednesday friends, yes, Christmas is right around the corner and you can never start to early working on your stash of Christmas cards. 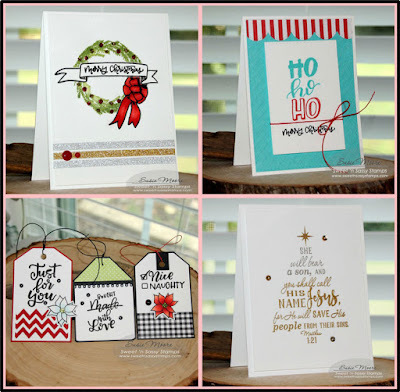 I have 2 cards to share with you today both showing sets from our 2016 Christmas release. 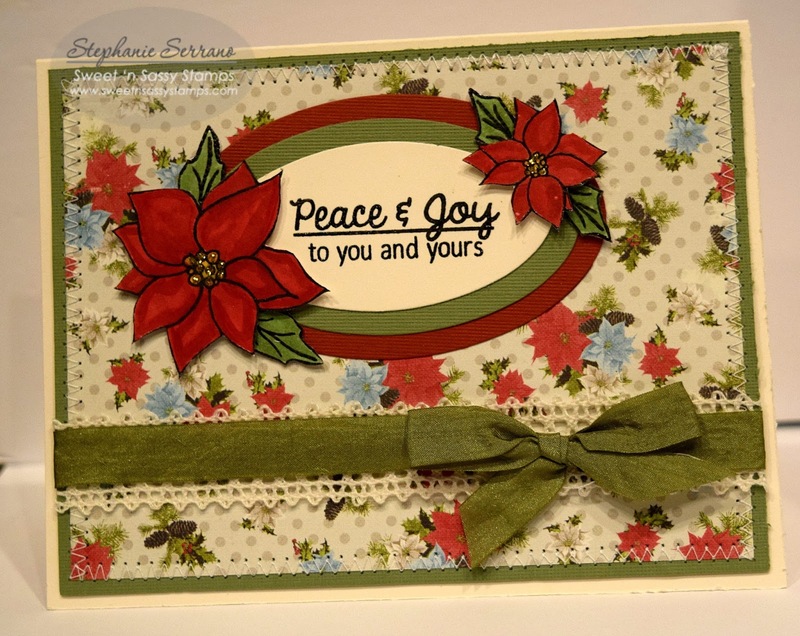 This first one is using Holiday Hugs, such a cute little set created by Diane Zechman. I made a shaker card using paper from BoBunny. This next card I think is my favorite of all the ones I have made with the new release. It is using Poinsettias & Candles also created by Diane Zechman. I paired it with this beautiful paper by Authentique. Don't forget you can get the 2016 Christmas sets in the Christmas bundle for a great discounted price of only $119.95 for 9 sets that is an awesome deal! It's Ceal here to share with you today! 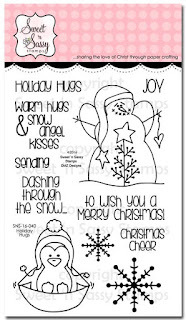 There are less than 100 days until Christmas and for me that means get on the ball with my card making. 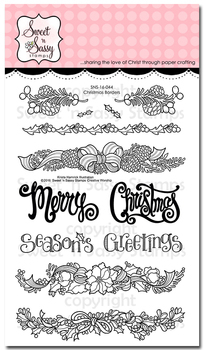 Our 2016 Christmas release has lots of great stamps to make some amazing cards, not to mention the ones that we already have in our Christmas line. 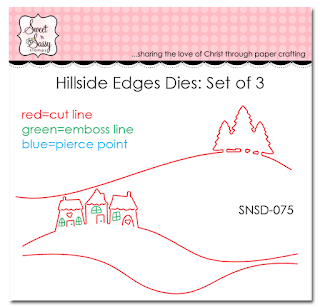 For my sample I used the set Holiday Hugs along with the Hillside Edges dies. 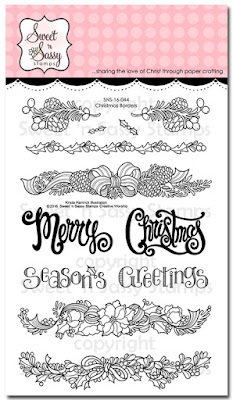 these two pair up so nicely, a must have for your holiday card making. Are you already in a Christmas mood after all our cards this month? I am! (meanwhile, we're having the highest temperatures we've had in weeks in the Netherlands, so the weather is feeling more like summer than the last couple of months have felt haha). I've got another Christmas card to share with you today. 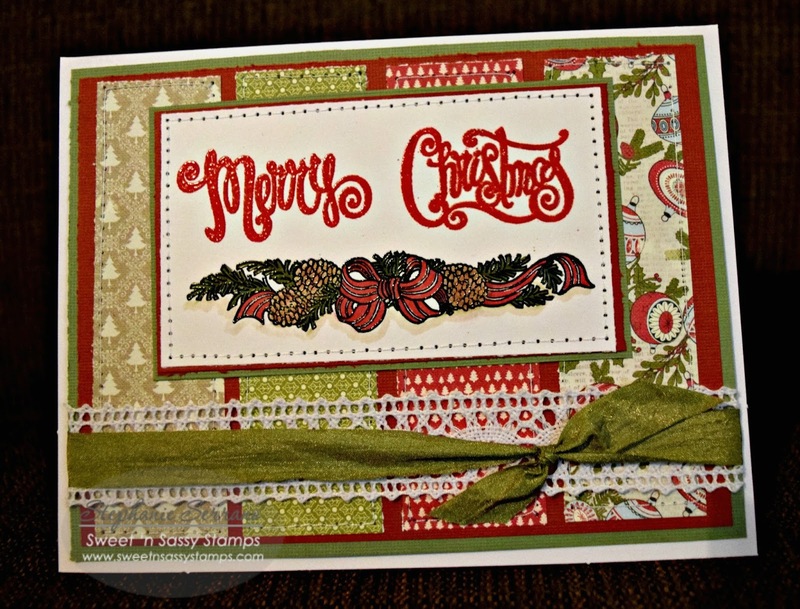 For this card I used the Christmas borders set. 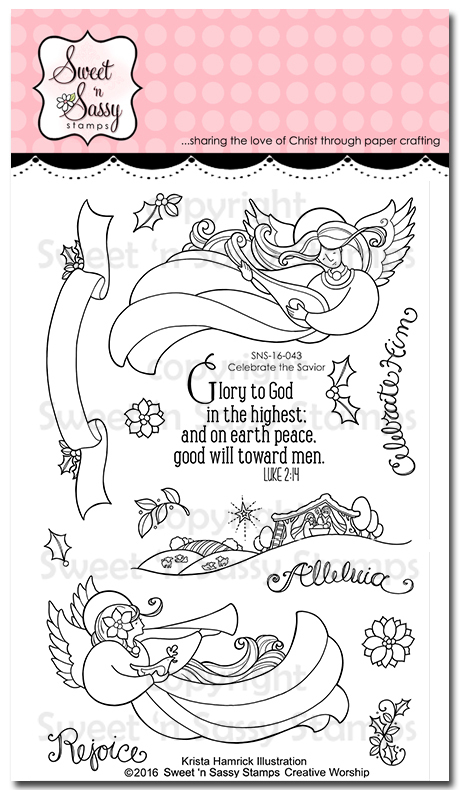 These images are so beautiful and detailed that you don't even have to color them (but they look lovely when you do too, of course). 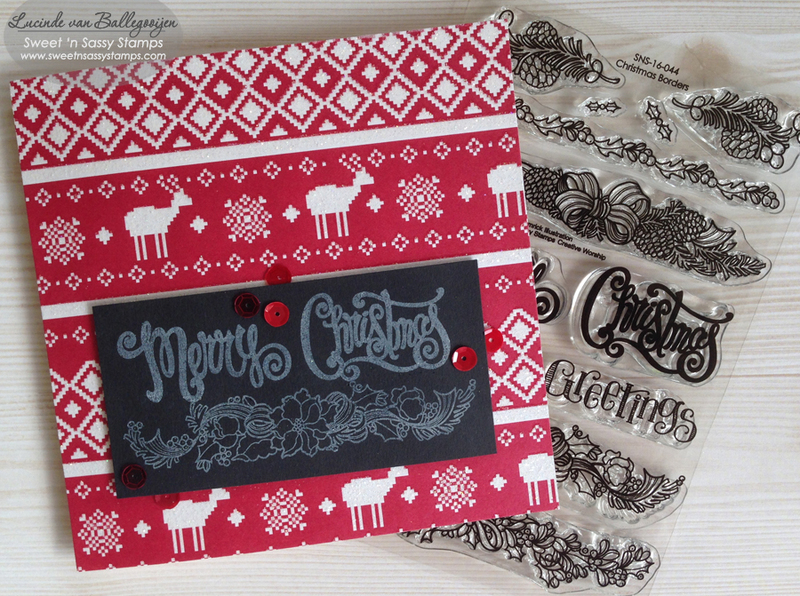 I stamped one of the borders and the message 'Merry Christmas' with white ink on a black paper. I added a little bit of sparkles to the stamped images with clear sparkling embossing powder (it's so subtle it doesn't show in the pictures). 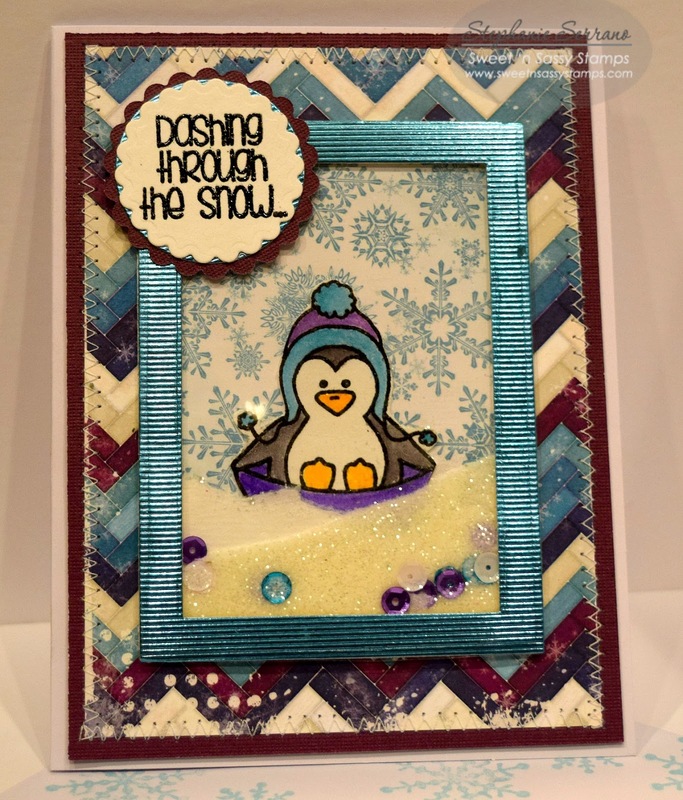 I used this stamped image as a focal point for my card and just added some patterned papers and sequins to finish my card. 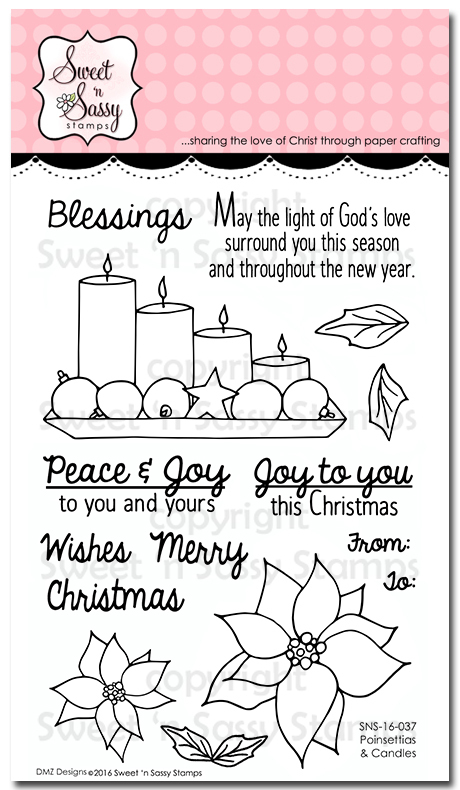 Clean and simple, great when you have to make a lot of Christmas cards! 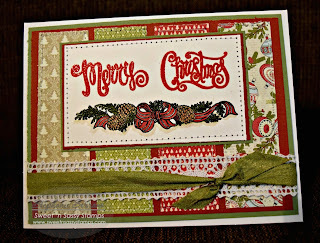 I used the 'Christmas Borders' stamp set. 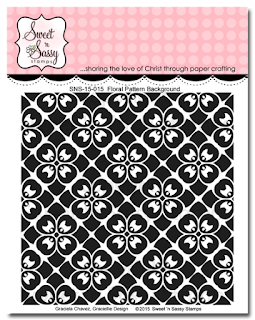 Today Sweet ‘n Sassy is featuring two new stamp sets (of mine!) that were released this month. Here I used my Poinsettias & Candles stamp set on this mostly monochromatic card. I mainly stayed in the blues with just a touch of yellow and gray. 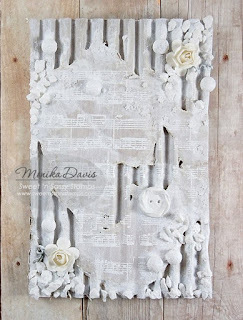 The candles were cut out by hand and layered over a paper doily with some bits of ribbon and twine to accent. It's a Terrific Tuesday, My Sweet 'n Sassy Friends! 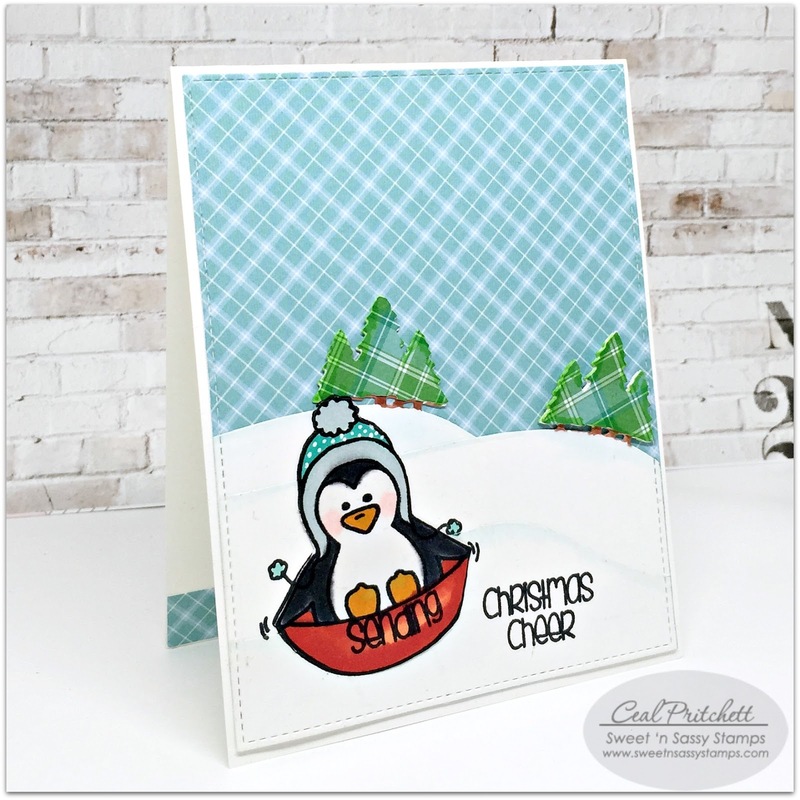 It's Susie here to share a card using one of the beautiful new Christmas stamps. 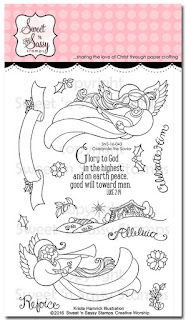 This one is called the Scripture Tree clear stamp set. This stamp set is so versatile. 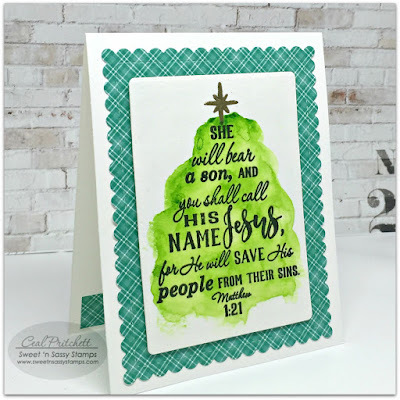 You can stamp the entire tree in one color, or heat emboss it in a lovely silver or gold, or do what I did here. I wanted an ombre look. I used only two ink pads to achieve three colors. I stamped the very top area using white over the original color. I love the look and hope you do too. many more Christmas cards this month! Happy Sunday, Sweet 'n Sassy friends. 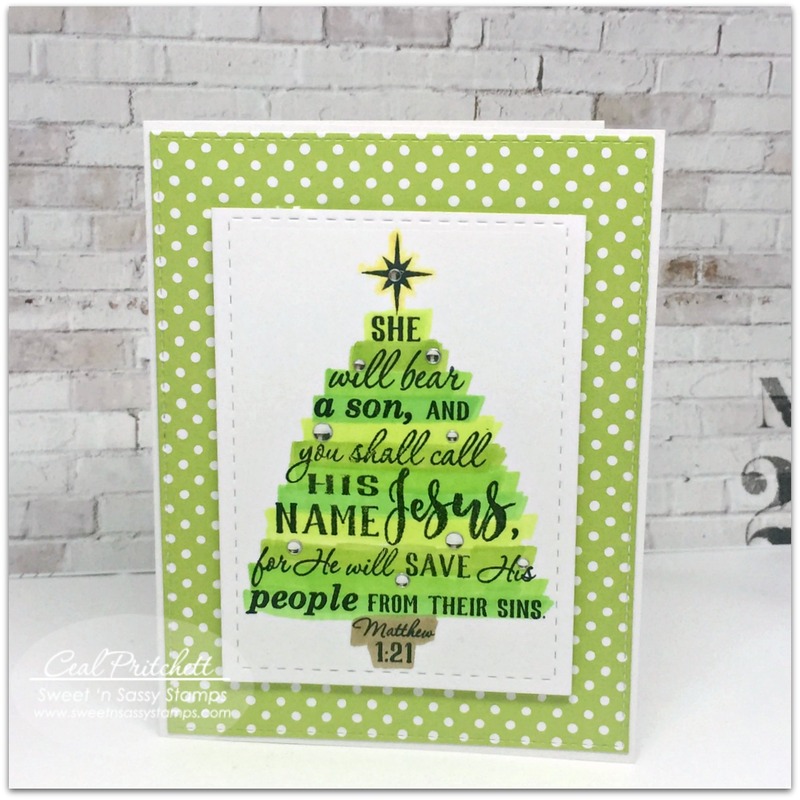 It's Ceal here to share a card with you today using a set from the Christmas release, Scripture Tree. This is a super simple card to make. 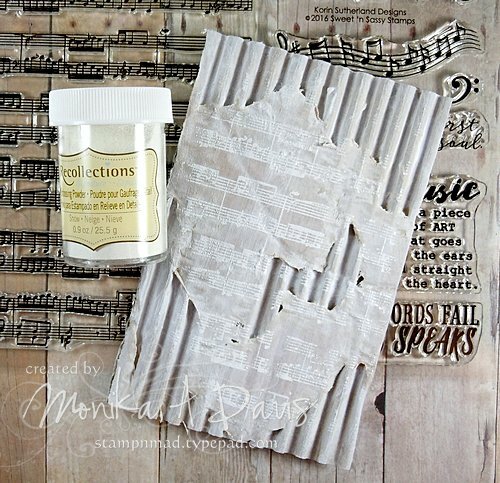 I started with a side folding note card A2 size, some plaid patterned paper and some white embossing powder. I simply stamped the image with Versamark ink, I used the Mini MISTI stamping tool in case I didn't get a clean image and had to over stamp. 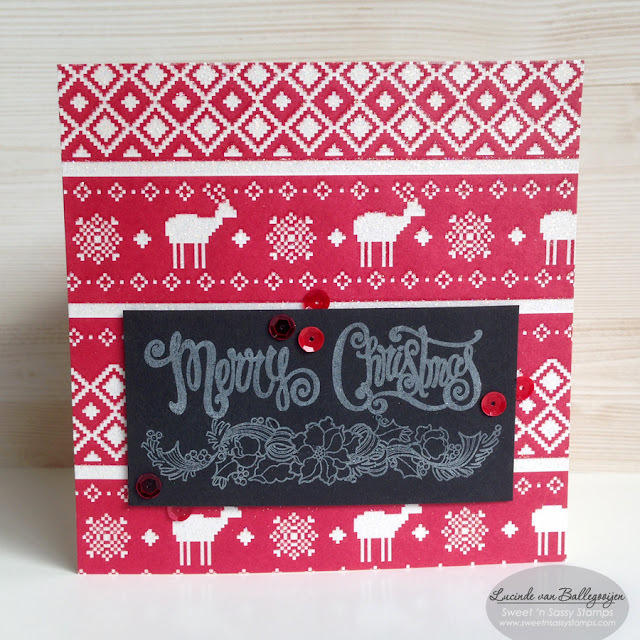 I embossed it in white embossing powder and that's pretty much it, easy peasy and super quick Christmas card. This one is also easily done, I stamped the image in memento ink and then took 4 colors of comic markers and just ran them across the image. for this one I also used the plaid patterned paper and stamped the image with archival ink and then watercolored the background. As you can see, with this set you can easily mass produce cards. 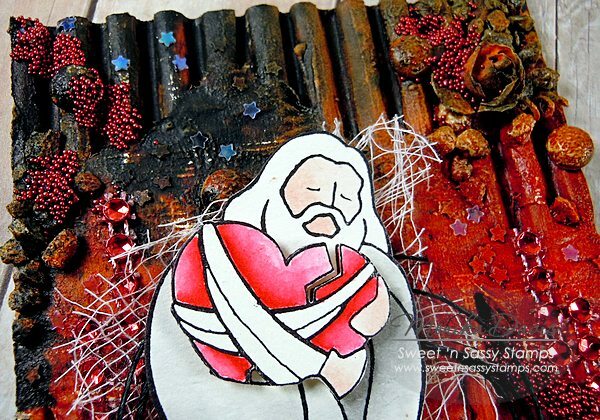 The red rhinestones and baker's twine, and the gold frame finished off the card. Hello friends and welcome to today's card! 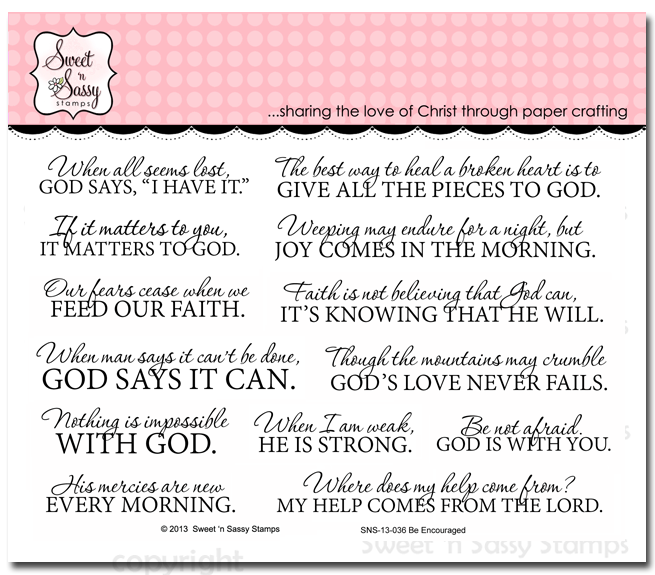 Today I'm sharing a quick and easy card featuring a wonderful Bible journaling set, called All Your Heart. 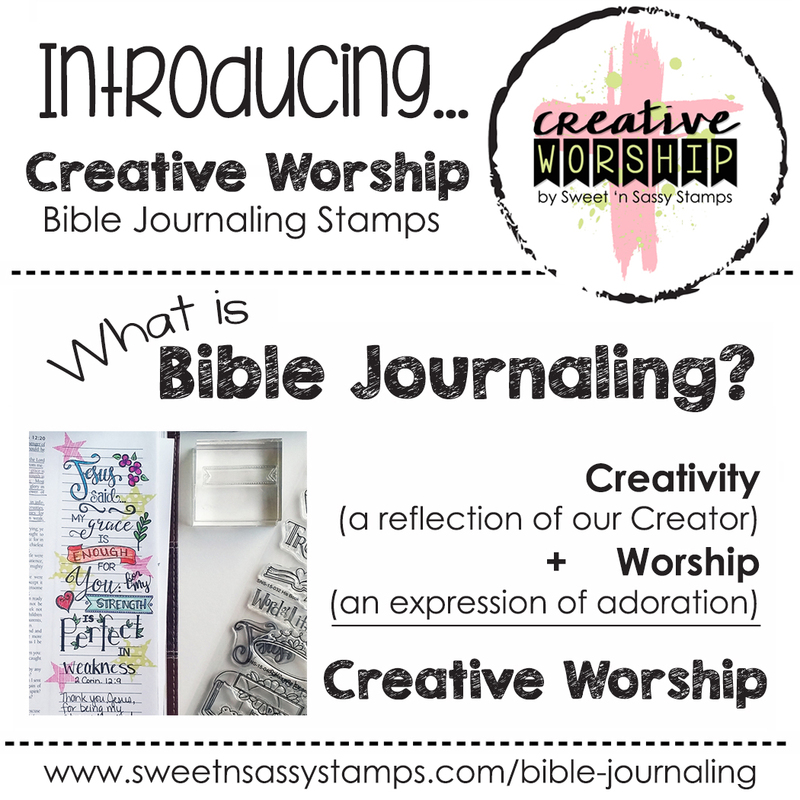 And, yes, you can use Bible journaling stamp sets to create cards too! 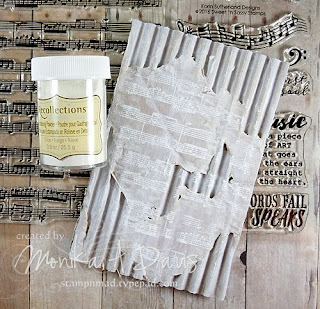 I started my card by creating a background using Strathmore water color paper. The water coloring was done with Distress Inks. To use Distress Inks, simply smoosh some ink onto a non-stick craft sheet and then pick up the ink with a water color brush. If you lay down a layer of water on to the paper before adding the ink, you'll get lots of great blending of the colors. Once my water coloring paper was completely dry, I used white embossing power to add the sentiment. To make the letters stand out a bit more, I used more ink to color in each word. Next, I added a sweet Glossy Accents covered heart along with some small paint splatters in black. I mounted the water color piece on a piece of black cardstock and attached to a white card. I hope you enjoyed today's card! You can use this easy technique to create any card...give it a try! Hello Everyone and Welcome to Fall! We are enjoying cooler weather in my neck of the woods and that makes me longing for soup, sweaters and pumpkins! It means that Christmas will be here before you know it! 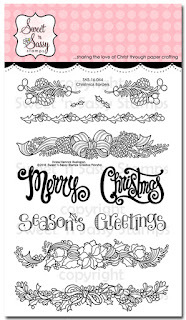 We are featuring this month's new Christmas Release, which is chock full of amazing stamp sets. 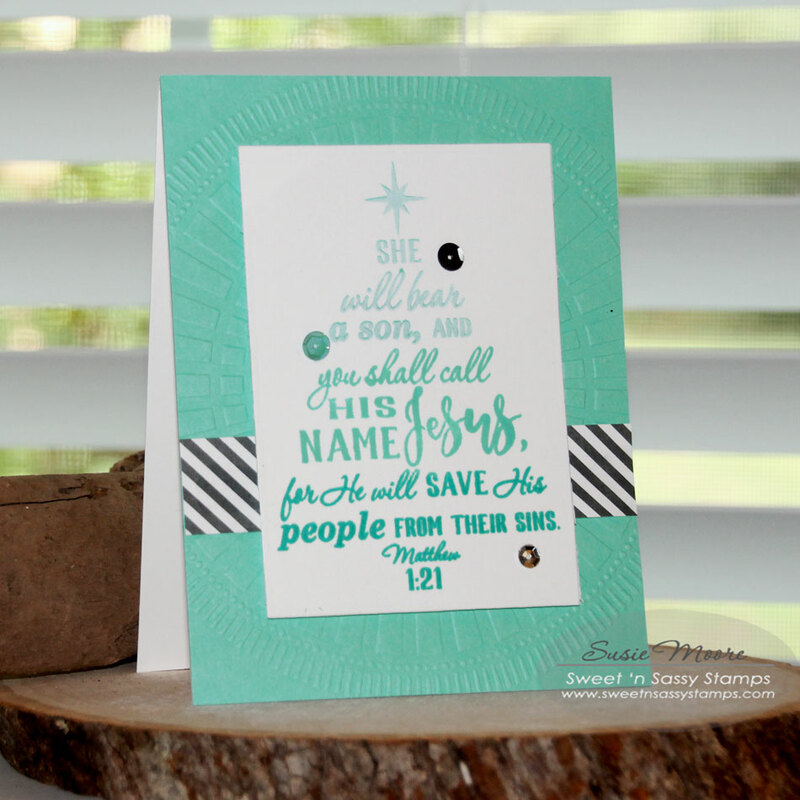 I love this Krista Hamrick set, Receive the Savior. I paired this wonderful image with the sweet, tiny sentiment from the Born This Day Stamp Set. The image is colored with Copics- E40s- and I almost didn't get to complete it as two of the markers ran dry and I do not have their refills yet. But persistence paid off as little by little, giving the remaining ink time to refill the tip, I was able to finish the image. A simple design allows the image to take center stage. Thanks for stopping by- Happy Crafting! Hello Sweet Friends! 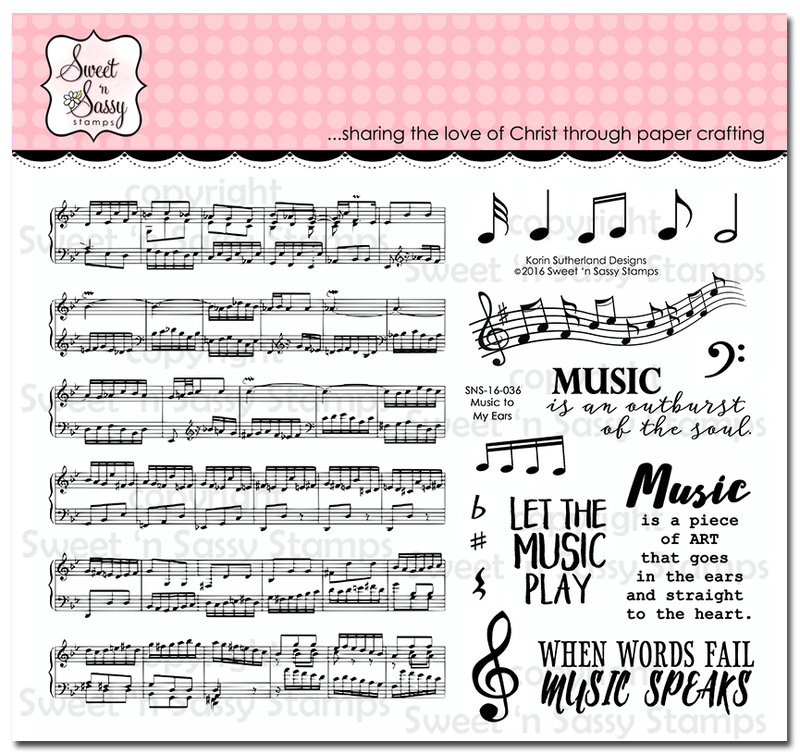 Julie here to share a card designed with the brand new Sweet ‘n Sassy Stamps Creative Worship stamp set, Celebrate the Savior designed by Krista Hamrick. This card was fairly quick and easy to create- I added the background paper to a piece of gray cardstock using my sewing machine with a zigzag stitch (hard to see in the photo), distressed the edges of both a bit, then mounted the layer onto a piece of vanilla cardstock and added the crochet lace along with the gray ribbon before adhering the entire panel onto the gray card base. I stamped the sentiment along with the angel using embossing ink onto a piece of vanilla cardstock, heat embossed with gold embossing powder and die cut with a large circle die. I mounted the die cut onto another circle cut from gray cardstock, distressed the edges a bit and used dimensional foam to add the layered focal image to the card front. I finished off the card with a triple satin ribbon bow along with pearls. 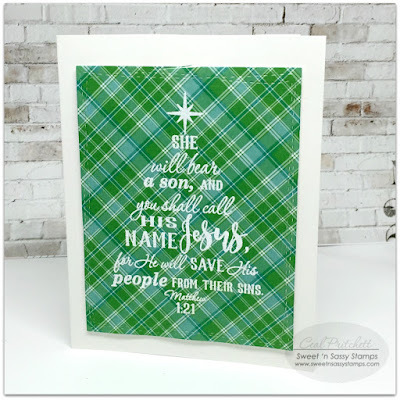 I had fun playing with this new Celebrate the Savior stamp set- it is perfect for Christmas cards as well as Bible Art Journaling! Krista did a great job illustrating this set, I can almost "hear" the angels declaring the good news of our Savior’s birth! Thanks again for stopping by- hugs and have a fabulous week, sweet friends! Hello everyone, Stephanie here to share with you today. Have you been enjoying the Christmas Stamps the team has been showcasing? So many awesome new sets to play with. Today I am showing you the set called Christmas Borders by Krista Hamrick, such a fun set to work with by itself or it is great to combine with other sets. For my card I stamped the sentiment in clear Versamark embossing ink and used red embossing powder and then stamped the garland in black ink and used clear embossing powder, colored in with copics and paired it with some great paper from Authentique. 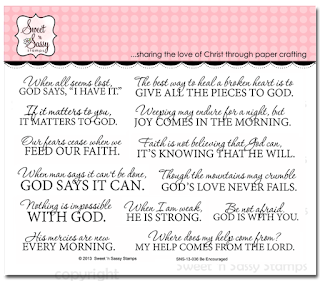 Hello, Sweet 'n Sassy friends! Cathy here with something old and something new to share today. 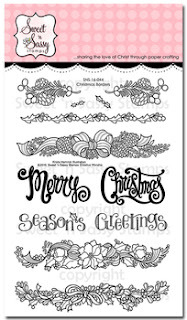 This month the Creative Team will be sharing samples made with some of the new Christmas stamp sets that have already been added to the store but have not been featured yet. That means…they are available now…Woooo-Hooo! 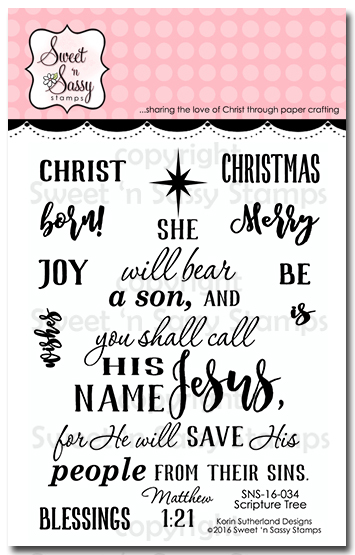 SNSS illustrator, Krista Hamrick, has three brand new stamp sets perfect for Bible journaling AND for creating Christmas cards and gifts. The card I have to share with you today uses her Receive the Savior stamp set. 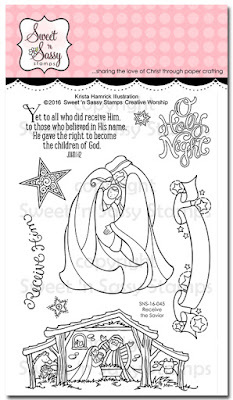 A Brown Tombow Marker was used to color the outline image from the Receive the Savior stamp set which was stamped on a piece of Mixed Media paper. A water color brush was used to pull the brown ink into the image. Other Tombow colors were scribbled onto an acrylic block, picked up with the brush, and painted onto the image as well. 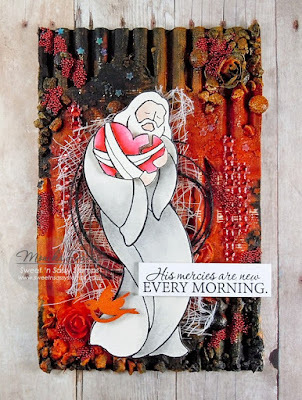 The background panel was created with the same Tombow markers applied to an acrylic block, spritzed with water, and smeared onto another piece of mixed media paper. White, black, and pink sponging and stamping were used with the Keep in Touch stamp set to create this card. 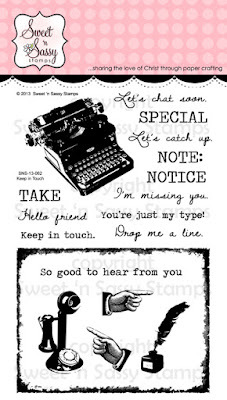 Typewriter Text was used on the background and the Classy Script Alpha was used to stamp "hello." Alphabet sets are ideal for creating the perfect sentiment for your card and SNSS has so many fabulous alphabet sets from which to choose! The Mojo Monday Sketch was used for the design. A few gems were colored with Copic Markers and added to the card. 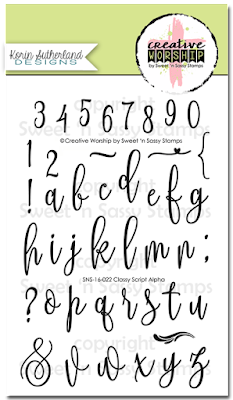 Why not head on over to the Sweet 'n Sassy Stamps Store and check out all that is new…and while you are there, you just might find something old that you haven't noticed before! Be sure to check back often to see more Creative Team Creations using the new Christmas sets!